Our product range also comprises of CMMI Services, CMMI Advisory Services and CMMI Appraisal Services. 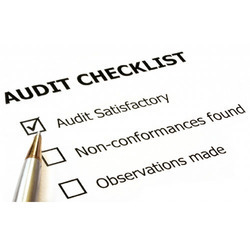 Our association is included in giving a subjective Third Party Audits Services to our regarded customers. With the assistance of our talented faculty, we render these administrations utilizing cutting edge engineering as a part of adherence with the global quality gauges. These administrations are known for their convenient execution, unwavering quality and customer driven approach.we care for the prerequisites & function as a Third Party Manufacturing Services for countless organizations, who don't have their own particular creation offices.